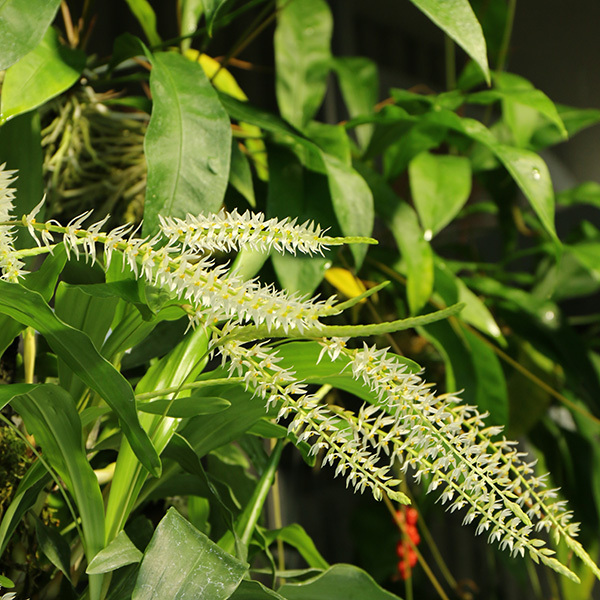 Dendrochilum glumaceum occurs in the Philippines and Borneo at an altutude of 700~2300m. This epiphytic orchid looks like the pendulous ornament and gives fragrant air around it. English name is known as hey- scented orchid or husk-like dendrochilum.